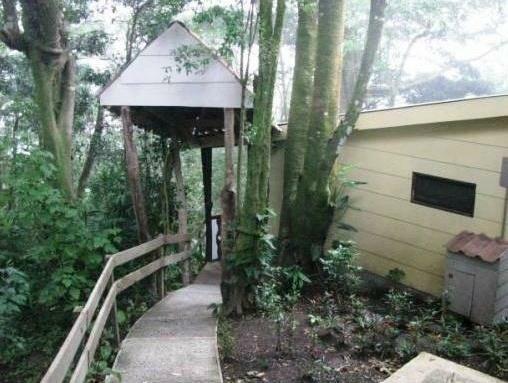 ﻿ Best Price on Hotel Los Jardines De Monteverde in Monteverde + Reviews! 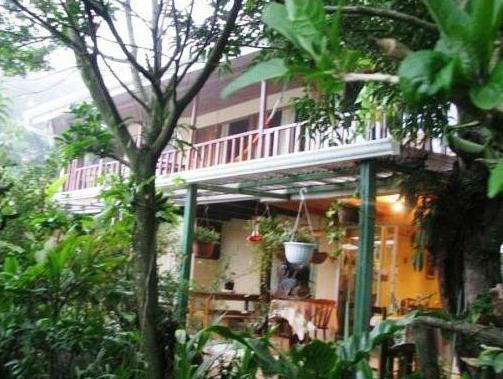 Hotel Jardines De Monteverde is located in Costa Rica’s Monteverde, a 5-minute drive from Santa Elena. Set in tropical gardens, it offers free Wi-Fi and rooms with mountain or Nicoya Golf views. Rooms feature wooden floors, a sofa and TV. Some have a balcony. The private bathroom comes with a hairdryer and toiletries. Breakfast is included in the room rate. You will find restaurants, souvenir shops, art galleries and an internet café nearby. The Coffee House Restaurant, 5 minutes’ walk away offers guests a discount on meals there. Free on-site parking is offered and you can hire a bicycle at the tour desk. A wide selection of tours can be arranged, such as Arenal Lagoon tours, canopy and butterfly farm tours. Upon arrival we were offered a room downstairs across from the reception, but we found it too small and dark, so we requested a different room, after which we were offered a room on the second level. It was a bit outdated, but large and comfortable. The balcony with hammock was delightful. We stayed here at the end of August 2014 and were the only guests in the hotel. The staff was friendly and helpful, at night there was a guard on duty. The hotel is a bit hard to find, but after receiving directions at the gas station, we soon found where it was. It is a nice hotel set in forests. Feels like stay in someone's house. Nothing outstanding, but worth what you pay. Staff are friendly. The location is a bit far from everything. But the town is smail, still can walk to the downtown area, which is tiny. 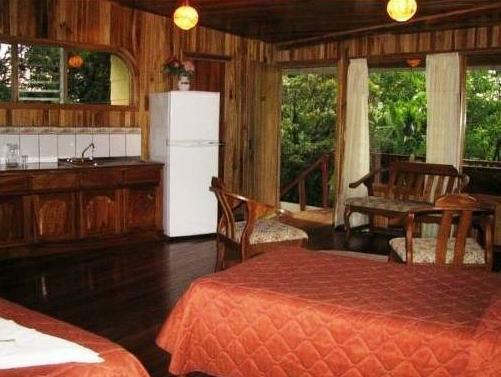 It was a little hard to find in Monteverde, but the rooms were homey with sunrooms to hang out in. The staff could not do enough for you.